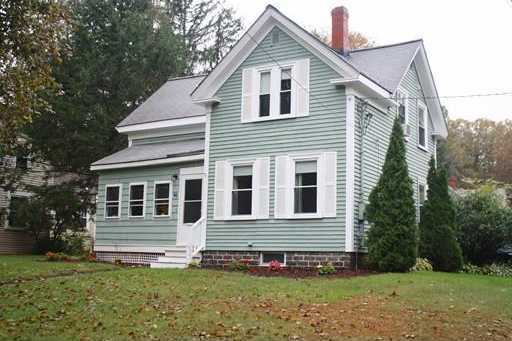 Welcome Home to this adorable turn of the century on North Street!!! The first floor features a nice kitchen (with gas range! ), separate dining room, a good-sized living room with beautiful wide pine floors, an updated half bath and a bright sun porch! The wide pine floors continue up to the second level, to two spacious bedrooms and a full bath with double vanity and tile flooring. Home sits on a large corner lot (driveway on side street so easy in and out! ), is fenced in and has a large storage shed for all of your outdoor equipment! The back of the home has yet another enclosed porch for use as a mud-room/etc. This lovely property is close to local eateries and shopping, schools and the highway for commuters…it’s a must see!